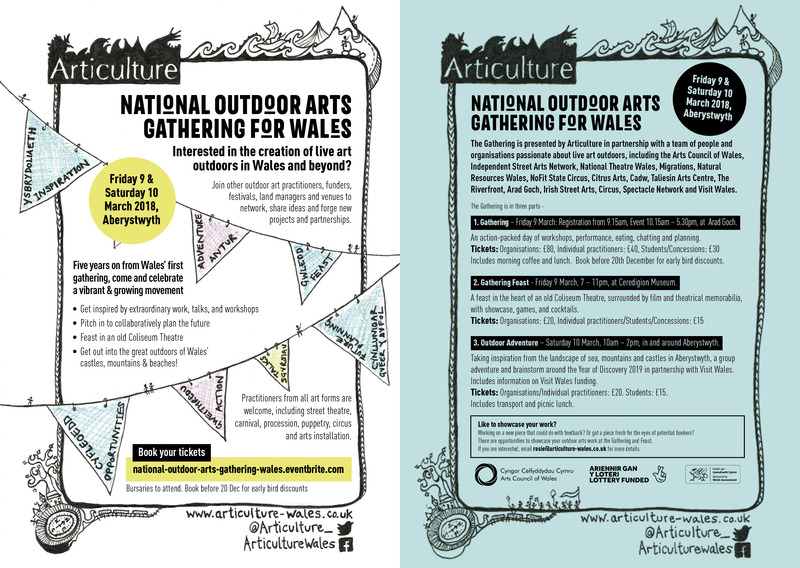 Interested in the creation of live art outdoors in Wales and beyond? 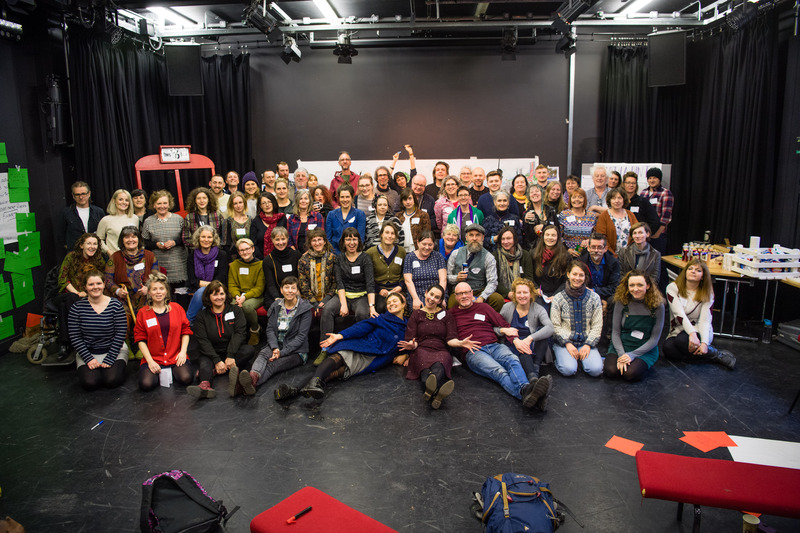 Join other outdoor art practitioners, funders, festivals, land managers and venues to network, share ideas and forge new projects and partnerships. Five years on from Wales’ first gathering, come and celebrate a vibrant and growing movement. – Pitch in to collaboratively plan the futureGet out into the great outdoors of Wales’ castles, mountains and beaches! – Practitioners from all art forms are welcome, including street theatre, carnival, procession, puppetry, circus and arts installation.